Air travelers caught a break late last year. The Transportation Department’s Bureau of Transportation Statistics (BTS) reports the average domestic air fare fell 6.1% in the fourth quarter of 2016 from the same period a year earlier to $347. It was also down 13.7% from the recent peak of $402 in the fourth quarter of 2014. The cost of flying was lower during the third quarter of last year than it was for the same period in 2015. 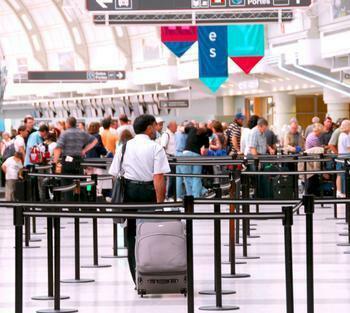 The Transportation Department’s Bureau of Transportation Statistics (BTS) reports average domestic air fare fell 8.8% to $344 in the between July and September. Average fares are based on domestic itinerary fares consisting of round-trip fares, unless the customer does not purchase a return trip. In that case, the one-way fare is included. One-way trips accounted for 38% of fares calculated for the third quarter. The average domestic one-way air fare was $242 in the third quarter, while the average round-trip air fare was $424. Fares are based on the total ticket value, which consists of the price charged by the airlines plus any additional taxes and fees levied by an outside entity at the time of purchase. Third-quarter fares were up 17.2% from the recession-affected low of $343 in 2009 to the third quarter of 2014. In the two-year period from the third quarter of 2014 to the third quarter of 2016, fares fell 14.4%. The third-quarter 2016 fare was down 26.5% from the average fare of $468 in 2000 -- the highest inflation-adjusted third quarter average fare in the 21 years since BTS began collecting air fare records. Since 1995, inflation-adjusted fares declined 24.1%. In recent years, airlines have obtained additional revenue from fees charged to passengers, as well as from other sources. U.S. passenger airlines collected 74.7% of their total revenue from passenger fares during the third quarter of 2016 compared with 87.6% in 1995. The complete report may be found on the BTS website. Frontier Airlines says it wants to improve its service and "further reduce fares" so it's imposing a charge of up to $100 for carry-on baggage and slapping a $2 charge on coffee and soft drinks. How does this improve service? As Frontier tells it, its regular customers have been grousing about how crowded the overhead bins are, so it's imposing the charge for passengers who don't book through the carrier's website, FlyFrontier.com. 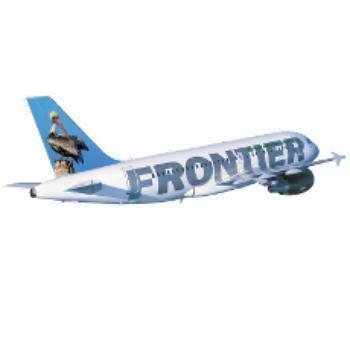 Frontier says it will also "guarantee that customers will get the best value" by booking online at its site. "Frontier’s most loyal customers have made it very clear that finding overhead bin space for carry-on bags has become unacceptably difficult," the airline said in a news release. "In response, Frontier will be introducing a charge for carry-on bags for customers buying basic fares through third party sites. All tickets sold at FlyFrontier.com include a carry-on bag with the fare." The change will take effect this summer, although a firm date has not been set. As Frontier tells it, the changes are part of its "transformation into an Ultra Low Cost Carrier." Another change is new charges for drinks. Effective July 1, 2013, customers who purchase economy or basic fares will be charged $1.99 for coffee, tea, soda and juice. Ah, yes, but for that $1.99, customers will get a full can of soda or juice and customers choosing coffee will be offered free refills, Frontier said. Spirit Air has pioneered the practice known as "unbundling" fares, charging a low price for a basic ticket while selling everything else on an a la carte basis. There may be some passengers who like it but there are quite a few others who say they wind up paying a lot more than they expect. "Current FAA regulations stipulate that an airline must divulge, upfront, the final cost of the ticket. Contrary to that stipulation, Frontier does everything humanly possible to hide their pricing while 'nickel and diming' the customer over every single aspect of the flight. I would hitchhike across America before I will ever consider flying Frontier again," said Elizabeth of Denver in a recent ConsumerAffairs posting. If you flew anywhere last summer, you were probably paying more than you did the year before. According to the Bureau of Transportation Statistics (BTS), average domestic air fares stood at $367 in the third quarter of 2012 -- up 1.8 percent from the average fare of $361 in the third quarter of 2011. Huntsville, Ala., had the highest average fare, $522, while Atlantic City, N.J., had the lowest, $133. Not adjusted for inflation, the $367 third-quarter 2012 average fare is the fifth-highest average fare for any quarter since BTS began collecting air fare records in 1995. The highest was $385 in the second quarter of 2012. The previous third-quarter high was $361 in 2011. Third-quarter 2012 fares were $243 in 1995 dollars, down 18.1 percent from the average fare of $297 in 2000, the inflation-adjusted high for any third quarter. Passenger airlines collected 71.2 percent of their total revenue from passenger fares during the third quarter of 2012, down from 1990 when 87.6 percent of airline revenue was received from fares. Unadjusted third-quarter fares increased 9.0 percent from the third quarter of 2000 to the third quarter of 2012. During those 12 years, inflation-adjusted fares declined 18.1 percent while there was an overall increase in consumer prices of 33.2 percent. In the 17 years from 1995, unadjusted air fares rose 27.7 percent compared to a 15.5 percent decline in inflation-adjusted fares and a 51.0 percent increase in consumer prices. Unadjusted third-quarter 2012 fares were up 19.6 percent from the recession low of $307 in 2009. BTS reports average fares based on domestic itinerary fares, which consist of round-trip fares unless the customer does not purchase a return trip. In that case, the one-way fare is included. Fares are based on the total ticket value which consists of the price charged by the airlines plus any additional taxes and fees levied by an outside entity at the time of purchase. Fares include only the price paid at the time of the ticket purchase and do not include other fees, such as baggage fees, paid at the airport or on board the aircraft. Averages do not include frequent-flyer or “zero fares” or abnormally high reported fares. From all indications, an improving economy will prompt more people to travel this summer. That means more competition for the best seats and the best fares. Consumers who want to save money will have to be more creative and perhaps work a little harder. That means building travel plans around the cheapest days and times to fly. It's no secret that Tuesday afternoon is the cheapest time to fly, for some reason. Wednesday and Saturday are also cheap days. If you can plan to come and go on those days, you have a better chance of flying for less. Flights to bigger airports are generally cheaper than flying to a smaller airport. If the airline you are using has a hub at the airport, so much the better. It will often be cost effective to fly to a major city and rent a car to drive to your final destination, especially if you had planned to rent a car anyway. Most of us prefer a direct flight to our destination but non-stops are becoming a very rare thing these days. Opting for a flight that makes a couple of stops, even traveling hundreds of miles out of your way, can save money. Most of the time it will pay to book as far in advance as possible. But sometimes the price will drop as the departure date approaches. 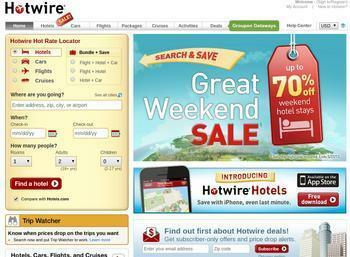 Discount travel site Hotwire.com recently launched TripWatcher.com, a new stand-alone site offering real-time alerts for airfare price drops. It covers thousands of flight routes in the U.S. every day. A tool like that can help you stay on top of unadvertised deals. "We've all experienced it, we look and look for low fares and the day we decide to take a rest, we hear about a lower-priced ticket after it's already gone, said Clem Bason, president of the Hotwire Group. "So a couple of years ago, Hotwire developed the Trip Watcher tool to alleviate some of the guess work from getting a great deal," "The tool quickly gained popularity, and we realized it was an increasingly valuable resource, which is why we decided to launch Trip Watcher as a separate, more sophisticated, flexible and fast-performing site." In a trend being adopted by a growing number of businesses, a consumer can be notified of the deal through social media, such as Twitter or Facebook, as well as traditional email. One of the reasons low fares are harder to find is the shrinking capacity of domestic airlines. When carriers struggled financially during the last decade, one response was to eliminate flights. That move helped control costs and it further shifted the supply and demand equation in favor of the airlines. Now, passengers have fewer flights to choose from and must compete for empty seats on the flights that remain. That returns a lot of the pricing power to the airlines. Because they are selling fewer seats, however, the airlines have had to look for new ways to be profitable. Over the last few years they've helped their bottom lines by adding fees for checked bags and other courtesies that were provided at no charge in the past. In spite of that consumers seem to have come to terms with fewer flights, crowded cabins and numerous fees. J.D. Power & Associates reports customer satisfaction with airlines has reached its highest level since 2006. The study looks at passenger satisfaction with North American airlines based on performance in seven factors: cost & fees; in-flight services; boarding/deplaning/baggage; flight crew; aircraft; check-in; and reservation. Costs and fees continue to be the biggest source of passenger dissatisfaction, according to the study. 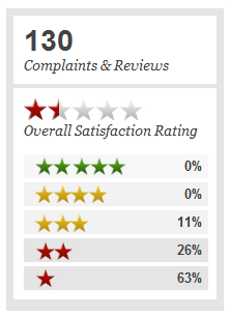 But the dissatisfaction appeared to be less this year than last. "Charging for bags still has a pronounced negative impact on passenger satisfaction, but with each year, passengers are increasingly more accepting of carriers unbundling baggage and other fees," said Ramez Faza, senior manager of the travel practice at J.D. Power & Associates. So where is the increase in satisfaction with airlines coming from? Maybe from technology. Thirty-six percent of passengers check in to their flights online, and 15 percent use a mobile device—more than double the six percent who used mobile devices two years ago. The addition of Wi-Fi on more flights is also enhancing the passenger experience. Overall satisfaction among passengers who use Wi-Fi during their flight is 39 points higher than among those who don't use it. If you plan on flying anywhere for the Thanksgiving holiday, this might be a good time to book your flight. Travelocity's Thanksgiving data show that the average round-trip domestic airfare this year is $415, including tax -- up nearly 7% from 2012. The online travel agency calls this the “price to beat” and recommends using it as a gauge while shopping for airfare. In a bit of good news for some travelers, Travelocity says a closer look at the most popular routes shows many prices are well under that average. "While average airfare is up for Thanksgiving we are still seeing some of the most popular routes well under the national average," explains Courtney Scott, senior editor at Travelocity. "So if $415 is out of your price range, don't assume you can't make it home for the holidays. Check your route, be flexible on your dates and you can still find a great deal." Book between October 8 through November 9. Travelocity's Booking Barometer says prices for Thanksgiving begin to drop during this time, and will pick back up at a steep increase beginning the week of November 10. Be flexible on your travel dates. Look at returning on Friday, November 29, or Tuesday, December 3, for lower fares. Returning over the weekend will most surely cost you more. Search alternate airports. For example, New York City is always one of the most popular holiday destinations. While LaGuardia might be the closest airport to your turkey dinner, flying instead into JFK or Newark may be worth the extra effort and could translate into big savings. Take the first flight of the day. Not only will the lines at security be shorter, but planes traveling earlier in the day have a better on-time performance in general. And, if your flight is canceled, you'll have the option of taking a flight later in the day. Pack smart and light. Look at shipping any gifts ahead of time, and try to pack only a carry on. This can help you avoid checked baggage and overweight baggage fees. In addition, if your flight is re-routed because of bad weather or delays, it'll be much easier if your luggage is with you. If you do check, don't put anything in your luggage you can't live without -- like medication, cell phone chargers or your child's favorite toy. Average domestic air fares rose to $370 in the second quarter of 2011, up 8.5 percent from the average fare of $341 in the second quarter of 2010, the U.S. Department of Transportation’s Bureau of Transportation Statistics (BTS) reported today. Memphis, TN and Cincinnati had the highest average fare, $476, while Atlantic City, NJ, had the lowest, $205. Second-quarter fares increased 3.9 percent from the first quarter, the second consecutive quarterly increase. Quarter-to-quarter changes may be affected by seasonal factors. BTS reports average fares based on domestic itinerary fares. 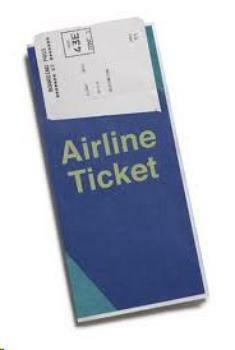 Itinerary fares consist of round-trip fares unless the customer does not purchase a return trip. In that case, the one-way fare is included. Fares are based on the total ticket value which consists of the price charged by the airlines plus any additional taxes and fees levied by an outside entity at the time of purchase. Fares include only the price paid at the time of the ticket purchase and do not include other fees, such as baggage fees, paid at the airport or onboard the aircraft. Averages do not include frequent-flyer or “zero fares” or a few abnormally high reported fares. Not inflation-adjusted, the $370 second-quarter 2011 average fares were up 6.5 percent from the previous second-quarter high of $347 in 2008. Unadjusted second-quarter fares dropped to a low of $302 in 2009 during the recession. Second-quarter 2011 fares were up 22.5 percent from the 2009 low, not adjusted for inflation. Second-quarter 2011 fares, not adjusted for inflation, were highest of any quarter. The post-1995 high was $359 in the third quarter of 2008. Adjusted for inflation, second-quarter 2011 fares in 1995 dollars were $250, down 17.4 percent from the second quarter of 1999, which, at $302, was the inflation-adjusted high for any second quarter since 1995. BTS air fare records reach back to 1995. It continues to cost more to fly to your destination, according to the latest report from the U.S. Department of Transportation's Bureau of Transportation Statistics (BTS). Average domestic air fares rose to $368 in the fourth quarter of 2011, up 10 percent from the average fare of $335 in the fourth quarter of 2010. Cincinnati had the highest average fare, $502, while Atlantic City, NJ, had the lowest, $189. Fourth-quarter fares were 2.1 percent higher than the third quarter. Fares include only the price paid at the time of the ticket purchase and do not include other fees, such as baggage fees, paid at the airport or onboard the aircraft. 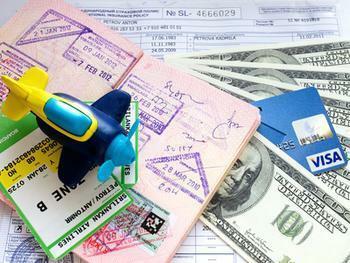 The government reports average fares based on domestic itinerary fares. Itinerary fares consist of round-trip fares unless the customer does not purchase a return trip. In that case, the one-way fare is included. Fares are based on the total ticket value which consists of the price charged by the airlines plus any additional taxes and fees levied by an outside entity at the time of purchase. Averages do not include frequent-flyer or "zero fares" or a few abnormally high reported fares. While air fares went up 10 percent from the fourth quarter of 2010 to 2011, the cost of driving went up much less. Gasoline prices increased about seven percent during the same time period. And despite the increase in fares, the New York Times notes that it is getting harder to gets from Point A to Point B, as airlines continue to cut back on flights, especially to smaller cities. The Times notes that direct flights between cities are getting harder to find, with many destinations requiring multiple stops and plane changes. 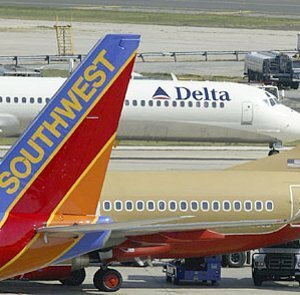 In January of this year, BTS reports that Southwest Airlines carried more total system and domestic passengers than any other U.S. airline. United Airlines, following its merger with Continental Airlines, carried the most international passengers. The report also shows the effects of continued consolidation in the airline industry, as carriers merge. The top 10 US airlines carried 79.7 percent of system-wide passengers, an increase from the 71.9 percent in January 2011. Average domestic air fares dropped 9.1 percent in the first quarter of 2009 from the fourth quarter of 2008, the biggest quarter-to-quarter drop on record, according to the U.S. Department of Transportation's Bureau of Transportation Statistics. The average first-quarter fare of $315 was down 5.9 percent from the first quarter of 2008 and down 12.5 percent from the record high average fare of $360 in the third quarter of 2008. First quarter 2008 fares were also 9.4 percent below the pre-9/11 first quarter high of $348 in 2001. The $315 first-quarter 2009 average fare represented a lower rate of increase than inflation both from the first quarter of 1995, the first year of BTS records and from the previous high for first-quarter fares set in 2001. In the 15 years from 1995, air fares rose 6.1 percent compared with a 40.5 percent inflation rate. From 2001, when the previous first-quarter high was set, fares declined 9.4 percent compared with a 20.7 percent inflation rate. 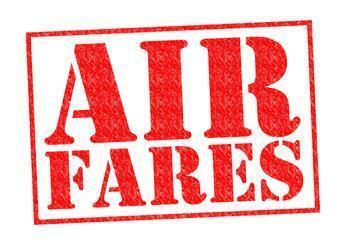 Since 2005, average fares have risen less than the inflation rate. First-quarter 2009 average fares rose 4.5 percent from the post-9/11 first-quarter low of $301 in 2005; the inflation rate was 10.0 percent. Of the top 100 airports based on 2008 originating passengers, the highest first-quarter average fares were in Huntsville, AL followed by Cincinnati, OH; Grand Rapids, MI; Savannah, GA; and Des Moines, IA. The lowest fares in the top 100 airports were at Long Beach, CA followed by Oakland, CA; Burbank, CA; Dallas Love and Las Vegas. The largest year-to-year average fare increase for the first quarter among the 100 largest airports ranked by originating passengers was 10.0 percent in Dallas Love followed by Houston Hobby; Lubbock, TX; Oklahoma City, OK and Memphis, TN. The biggest year-to-year average decrease was 16.8 percent in Cincinnati, OH, followed by Madison, WI; Richmond, VA; Long Beach, CA and San Francisco. A separate measure of fares, the BTS Air Travel Price Index dropped 8.5 percent in the first quarter of 2009 from its fourth quarter 2008 level. Average fare calculations and the ATPI, while similar, measure air fares in two different ways and may produce different results. ATPI measures the rise in air fares, while average fares show the increased use of lower fares. The varying results reflect trends in the airline industry that have resulted in more passengers using lower air fares even though fare levels continue to rise. Three of these trends follow.  First, low-cost carriers, which generally offer lower fares, now carry about 40 percent of all domestic enplaned passengers, up from about 14 percent in 1995.  Second, network carriers have been forced to match some of the low-cost carrier relaxed fare rules, such as eliminating the "Saturday Night Stay Rule", which has allowed more passengers to purchase lower fares.  Third, use of the Internet allows almost instant price comparisons that give the customer the opportunity for unprecedented low-fare shopping. Excluding Alaska, Hawaii, and Puerto Rico, the largest year-to-year fare index increase for the first quarter among the 85 largest airline markets, ranked by passengers, was 3.7 percent in Islip, NY followed by Reno, NV; Ontario/San Bernardino, CA; San Diego, CA and Portland, OR. The largest year-to-year ATPI decrease was 14.5 percent in Richmond, VA followed by Dayton, OH; Rochester, NY; Boston and Philadelphia. Average domestic air fares rose to $373 in the first quarter -- up 4.8 percent from the average fare of $356 in the first quarter of 2011, according to the U.S. Department of Transportation’s Bureau of Transportation Statistics (BTS). Cincinnati had the highest average fare -- $526, while Atlantic City, NJ, had the lowest at $157. Not adjusted for inflation, the $373 first-quarter 2012 average fares reached an all-time high for any quarter. The previous high was $370 in the second quarter of 2011. The previous first-quarter high was $356 in 2011. First-quarter 2012 fares were $246 in 1995 dollars, down 19.2 percent from $304 in 1999, the inflation-adjusted high for any first quarter since the beginning of BTS air fare records in 1995. BTS, a part of the Research and Innovative Technology Administration, reports average fares based on domestic itinerary fares. Itinerary fares consist of round-trip fares unless the customer does not purchase a return trip. In that case, the one-way fare is included. Fares are based on the total ticket value, which consists of the price charged by the airlines plus any additional taxes and fees levied by an outside entity at the time of purchase. Fares include only the price paid at the time of the ticket purchase and do not include other fees, such as baggage fees, paid at the airport or onboard the aircraft. Averages do not include frequent-flyer or “zero fares” or a few abnormally high reported fares. Passenger airlines collected 69.5 percent of their total revenue from passenger fares during the first quarter of 2012, down from 87.6 percent in 1990. Air fares in the first quarter of 2012 increased 9.6 percent from the first quarter of 2000, not adjusted for inflation, compared with an overall increase in consumer prices of 34.0 percent during that period. In the 17 years from 1995, the first year of BTS air fare records, air fares rose 25.6 percent compared to a 51.5 percent inflation rate. The average inflation-adjusted first-quarter 2012 fare in 1995 dollars was $246 compared to $297 in 1995 and $301 in 2000.